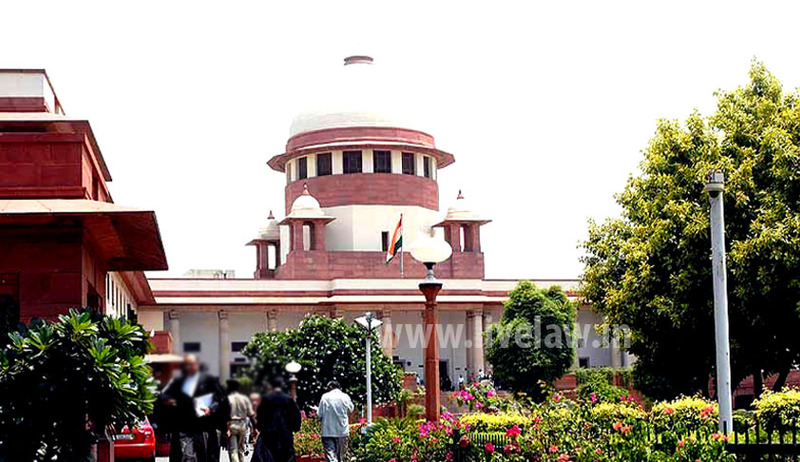 Supreme Court on Thursday ordered the Chief Metropolitan Magistrate/District Magistrate of Mumbai to hear and pass fresh orders in a lease dispute over mortgaged property in Harshad Govardhan Sondagar Vs International Assets Reconstruction Co ltd. Bench comprising of Justice A. K. Patnaik and Justice V. Gopala Gowda was considering an appeal by a group of tenants who are under threat of eviction from their lease property against the Order of Bombay High Court in International Assets Reconstruction Company Limited v. Union of India & Ors. Appeal has called upon the court to decide regarding the right of the lessees to possess the property which is mortgaged by the bank. High Court denied the right of tenants to possess the property which was mortgaged by the borrower and then eventually became Non Performing Assets to which the creditors had a right to recovery over the property. Appellants contented that a tenant is a lessee and has a right to be in possession of the property of the lessor during the period of the lease and this right cannot be taken away save by authority of law. There is nothing in the provisions of the SARFAESI Act, and in particular Section 13 of the said Act, to show that this right of a lessee to remain in possession of the secured asset during the period of the lease stands extinguished when the secured creditor initiates action under Section 13 of the SARFAESI Act. Respondent argued that while there are no restrictions on the right of the borrower to make a lease of an immovable property prior to the mortgage, once a mortgage is created, his right to make a lease of the mortgaged property is regulated by the provisions of Section 65A of the Transfer of Property Act, 1882. They further submitted that the SARFAESI Act has been enacted to enable the secured creditors to recover the secured debts without the intervention of courts and tribunals and third-parties claiming to be lessees but not bonafide lessees under leases which are not in accordance with Section 65A of the Transfer of Property Act should not be allowed to frustrate this laudable object of the Act by preventing the secured creditors from taking the possession of the secured assets and realizing the secured debts. Supreme Court has found that the District Magistrate had passed orders for the bank to take the delivery of the possession of the property from the appellants claimed to have held the possession of the property before it was mortgaged. The applications filed by the banks under section 14 of the SARFAESI Act were pending which gives the District Magistrate the right to take the possession of the property and transfer it to the bank. “When, therefore, a lessee becomes aware of the possession being taken by the secured creditor, in respect of the secured asset in respect of which he is the lessee When, therefore, a lessee becomes aware of the possession being taken by the secured creditor, in respect of the secured asset in respect of which he is the lessee”. Court has set aside the order of Chief Metropolitan Magistrate, Mumbai, under Section 14 of the SARFAESI Act for delivery of possession of the secured asset to the respective secured creditors. Further matters are remitted to the Chief Metropolitan Magistrate to pass fresh orders in accordance with this judgment and any other law that may be relevant after giving an opportunity of hearing to the appellants and the secured creditors within four months.